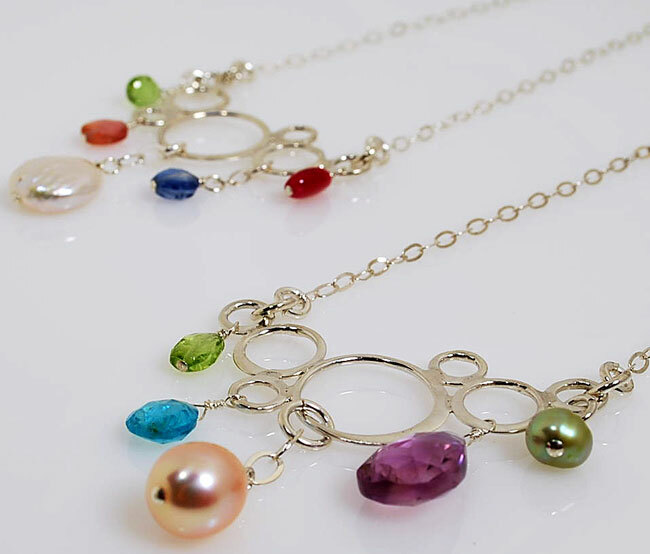 These fun, lightweight sterling silver “bubble” pendants create the perfect canvas for a whimsical collection of brilliant gemstones, pearls and sterling silver charms. Pendant approx. 1.5″ diameter. Shown 18″ long on sterling silver chain. Other chain lengths available. Each pendant is unique.